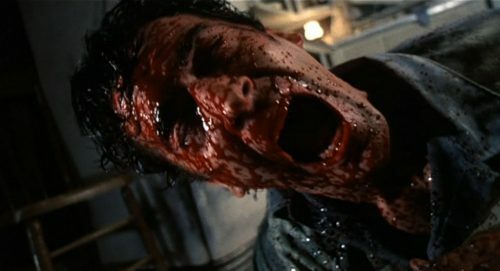 With a 98% score on Rotten Tomatoes, the cult classic EVIL DEAD 2 – directed by Sam Raimi – has been newly restored and will release for the first on 4K Ultra HD! This thrill-packed, gore-led rollercoaster ride is a must-see for all horror fans and comes packed with over four hours of special features – including the new one-hour bonus feature BLOODY AND GROOVY, BABY! EVIL DEAD 2 will arrive on 4K Ultra HD, Blu-ray™, DVD and Digital Download on 4th March 2019 and is available to pre-order now.